The Inverse Kinematics (IK) solver needs to be aware of the joint bounds in order to provide always a feasible solution lying in the allowed range. The Gradient Projection method that makes use of the null space of the Jacobian to establish a secondary task that attempts to keep joints far from their constraints while converging to the solution of the primary task. See for example . You can resort to tools like KDL. Nonlinear optimization techniques that inherently deal with bounded search regions and thus demonstrate to outperform other approaches. Nowadays, computational resources are such that these demanding techniques can be run even in real-time. See ,  and . Tools implementing this approach are for example TRAC-IK, iKin (tutorial is available) and iDynTree. H.-Y. Lee, B.-J. Yi, Y. Choi, “A Realistic Joint Limit Algorithm for Kinematically Redundant Manipulators,” IEEE International Conference on Control, Automation and Systems, 2007. P. Beeson, B. Ames, "TRAC-IK: An open-source library for improved solving of generic inverse kinematics," IEEE-RAS International Conference on Humanoid Robots, 2015. U. Pattacini, F. Nori, L. Natale, G. Metta, G. Sandini, "An experimental evaluation of a novel minimum-jerk cartesian controller for humanoid robots," IEEE-RSJ International Conference on Intelligent Robots and Systems, 2010. As it seams from the comments you have some redundant mechanism is you want to track a 3D position, if you also want to track an orientation you are down to non redundant mechanism. Which means that in the first case you might have several IK solution that satisfy your desired position and you can then pick one not violating you actuator constrains. In the second case if actuators constrains are violated by the IK it means you are out of your workspace. What is a typical approach is to compute the workspace of your arm in Cartesian space, then when you have a desired position (with or without orientation) You can check that this point is in your workspace and if not find the closest point in the workspace. Then for this point there is a IK solution not violating your actuation limits. Once you get a solution from the IK you should also check for self-collision, or include that in your workspace description. Not the answer you're looking for? 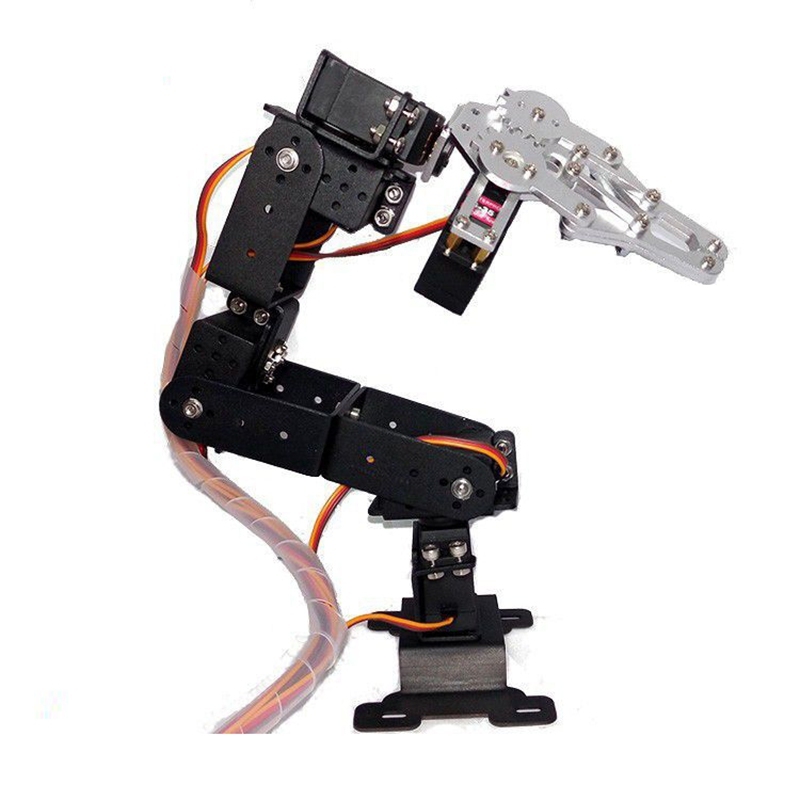 Browse other questions tagged robotic-arm inverse-kinematics jacobian or ask your own question.